The homeowners’ Pacific Northwest roots guided this design. Boulders resembling miniature vistas provide a visual anchor. 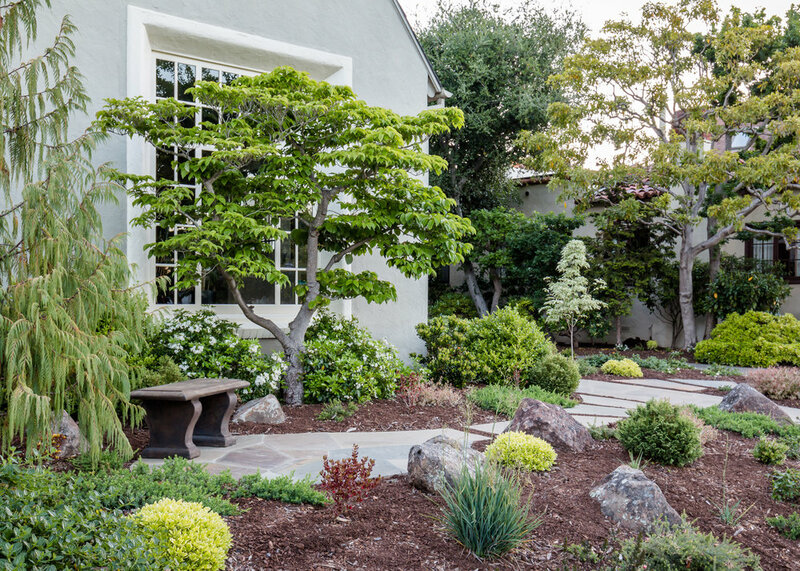 The front lawn was removed and replaced with conifers and stone hardscape to complement an existing dogwood. Custom-cut flagstone was laid to create a new walkway. A custom-crafted metal handrail dials up the warm welcome. An existing deck now overlooks a more functional backyard space, namely a large concrete patio which was brought down in scale, divided into “rooms,” and resurfaced with cut Connecticut blue pavers in a mosaic pattern. 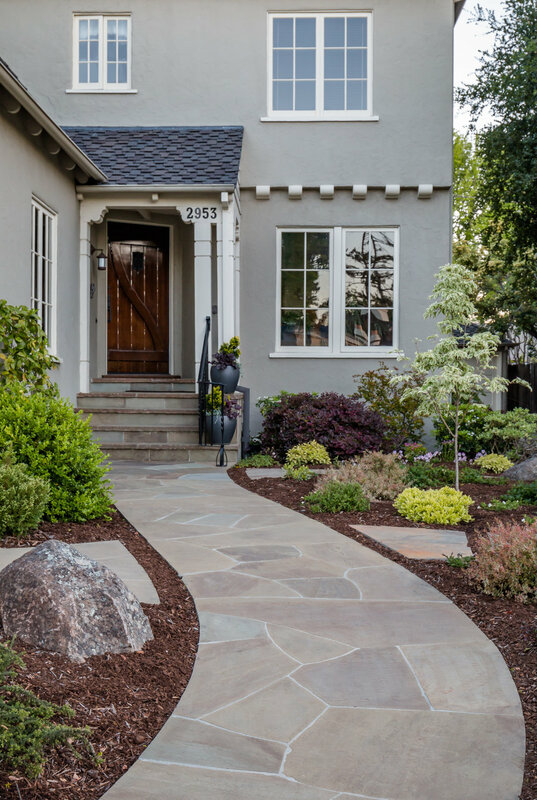 Flagstone pathways meander toward new destinations to gather, and a lone focal point maple against a brick backdrop continues the Pacific Northwest theme.